"Fun drinking game: Every time the crushing shallowness of red carpet coverage pierces your glassy stare, drink. And don't stop." 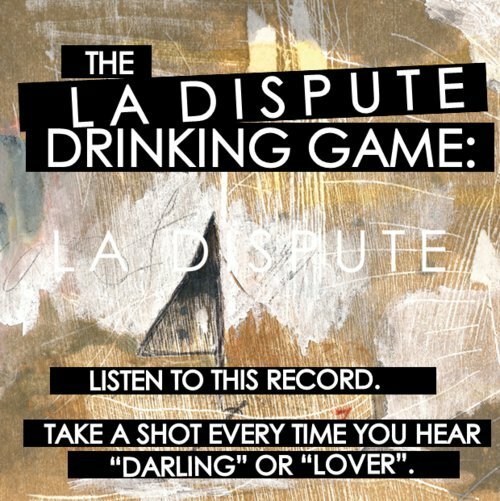 This page is for your own examples of Drinking Games. Many such games also feature an "alcoholic's version", which recognizes that a particular trope is used excessively by assigning drinks to it. Such variants should be played with caution as they can lead to alcohol poisoning. For example, whenever William Shatner overacts, take a sip (and hope that his scenes are short and few, because you won't be putting that bottle/glass/cup/mug/whathaveyou down until he's off the screen). Some games also feature a cynical "teetotaler's version", where drinks are assigned only for realistic behaviors which are conspicuously absent from the show (such as a lack of Genre Blindness). This variant should also be used with caution, as it can lead to remaining sober enough to realize you're wasting your life watching TV. For example: drink the whole jug when the Doctor isn't familiar with the Monster of the Week. Perhaps the original television-related drinking game is "Hi Bob!" Simply pick an episode of The Bob Newhart Show and drink whenever anyone says "Hi Bob!" This game has an elegant simplicity which is lacking from many television-themed drinking games, in that there is only a single relevant event, easy to remember even after many occurrences of "Hi Bob!" Many other drinking games result in lengthy lists of events to drink on, which can be fun to read but may be impractical for actual play. The level of drunkenness achieved in "Hi Bob!" can also vary widely with the episode chosen—with a little knowledge and/or advance research, one can select an episode with a desired level of inebriation in mind. One traditional game that has been played with many series is to drink along with the characters: whenever someone has a drink, you take a drink. For every use of a Trope, take one sip. For every parody or use of a Subverted Trope, take two sips. For every use of a Discredited Trope or Dead Horse Trope, take two sips. For every use of a Characteristic Trope, take three sips. For teetotalers: Drink only when a law or formula is broken. Doctor Who TVM "The TV Movie"
Enter the Arena... As Your Avatar!